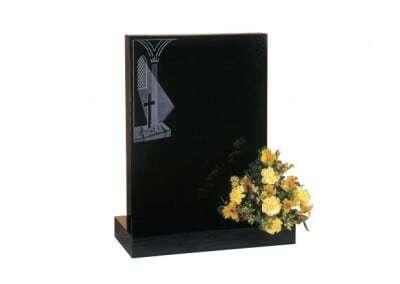 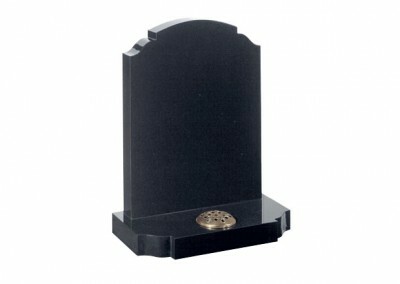 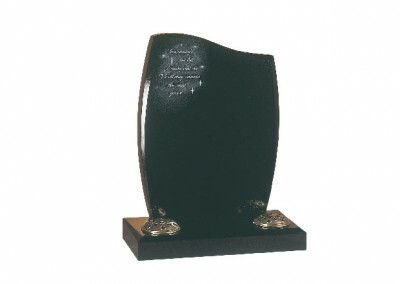 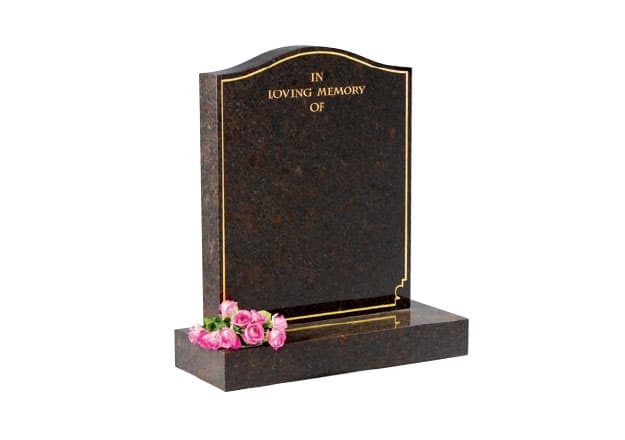 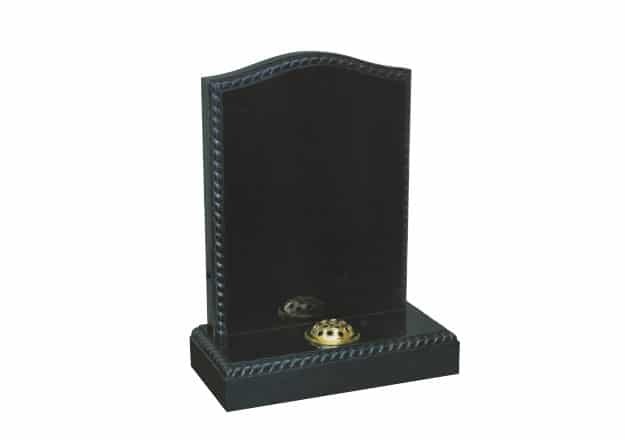 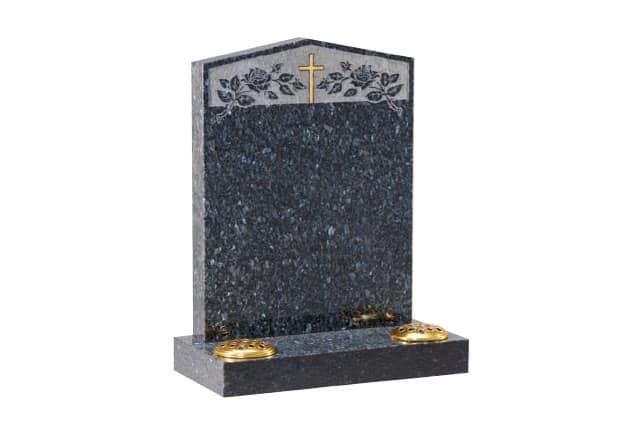 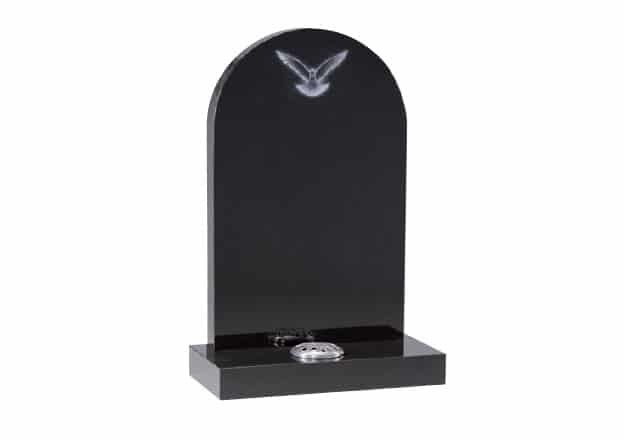 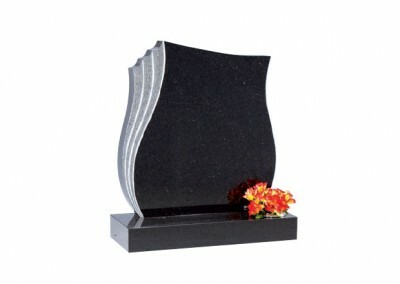 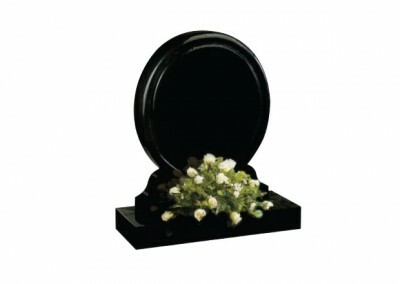 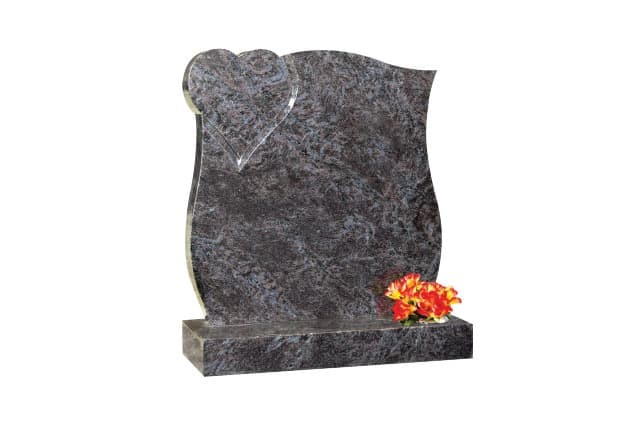 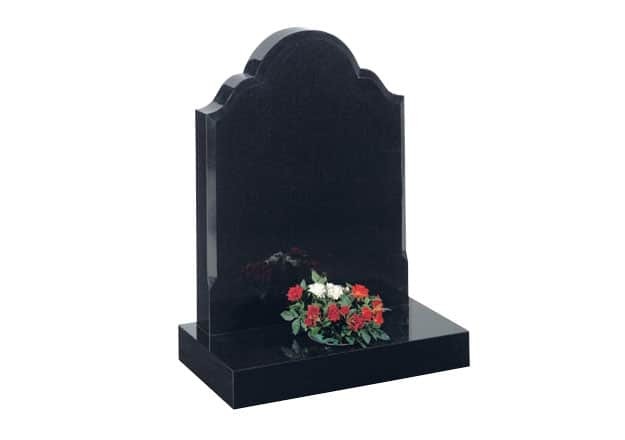 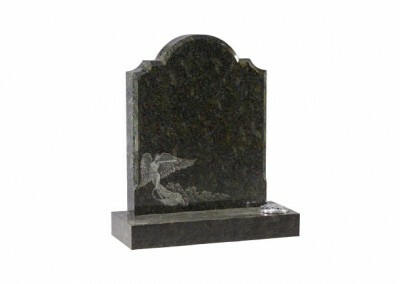 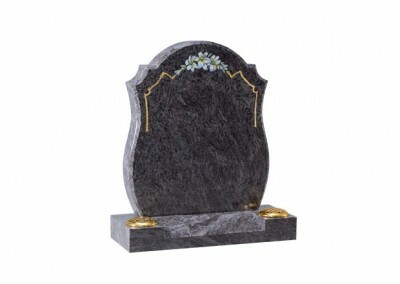 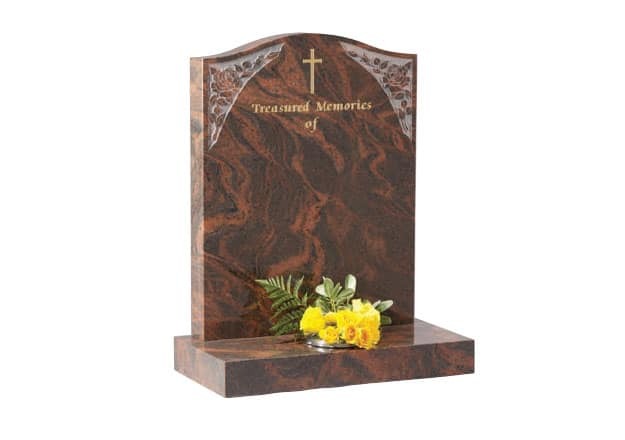 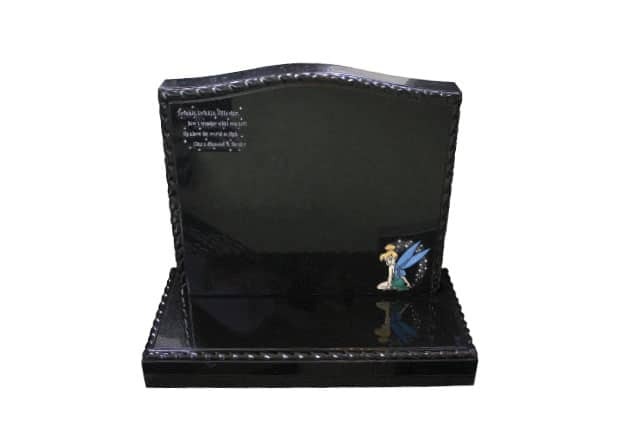 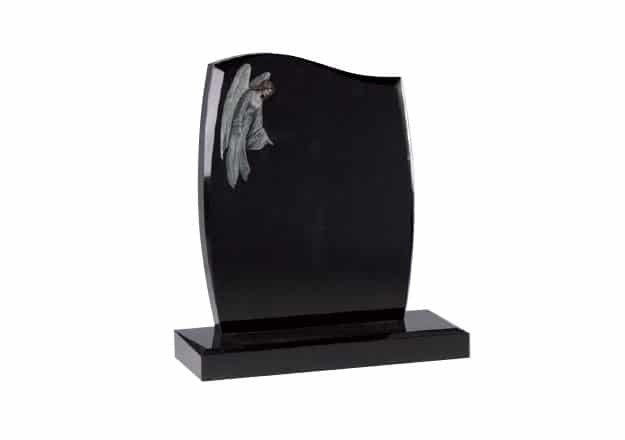 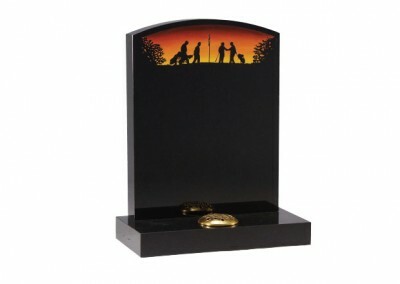 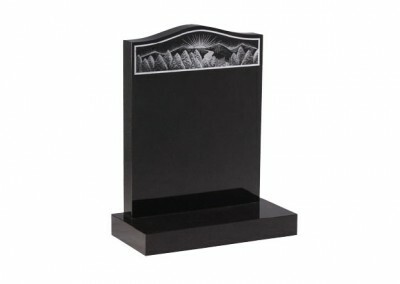 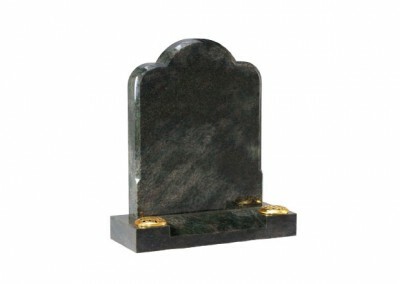 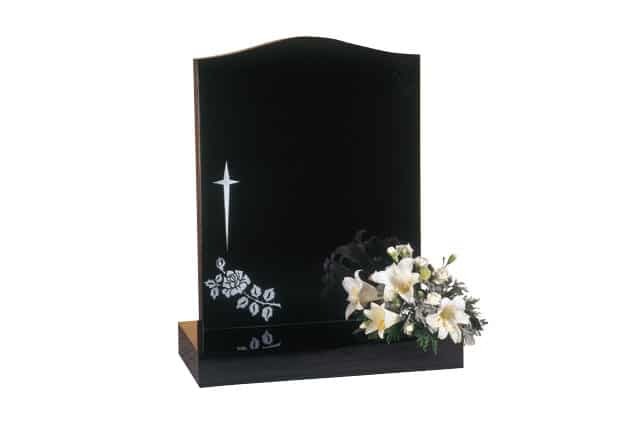 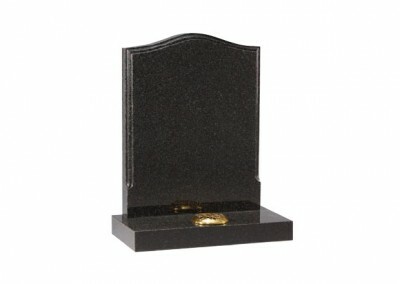 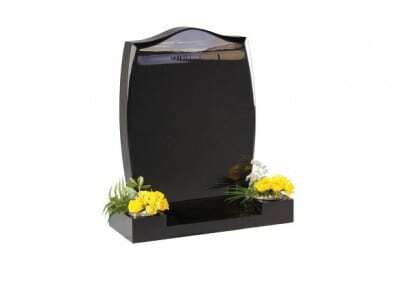 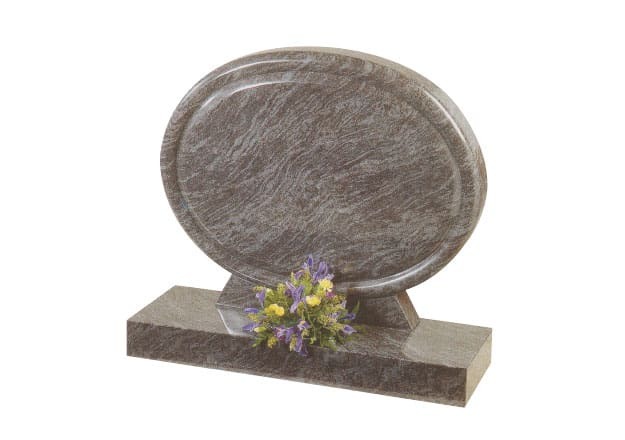 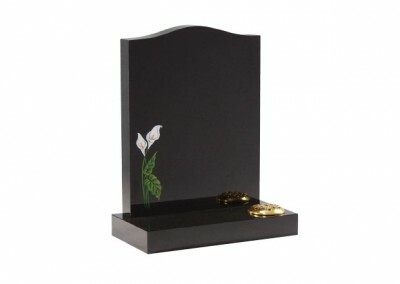 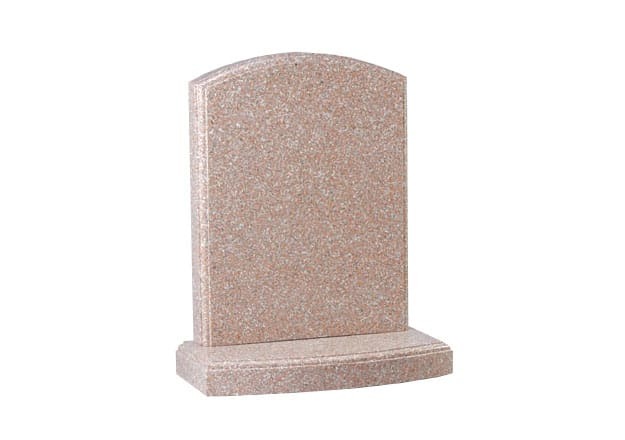 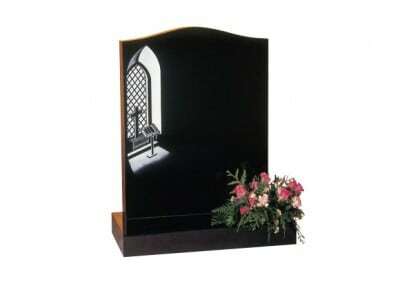 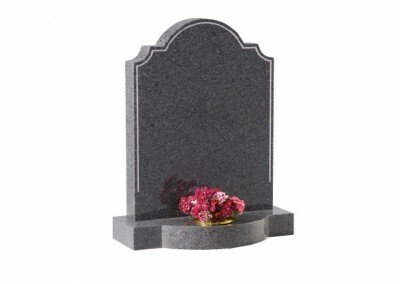 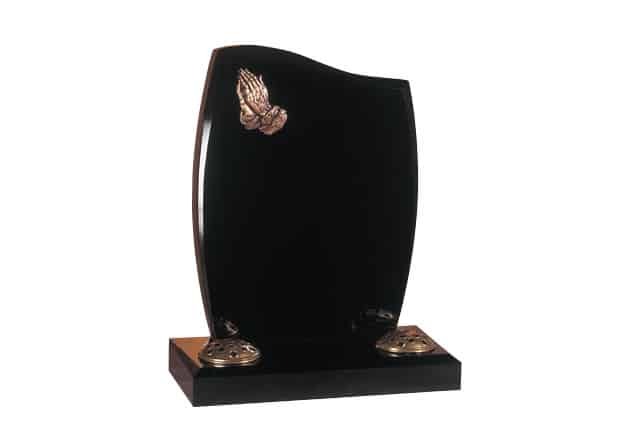 Headstone available in 27” x 21″ x 3″ and 3” x 24” x 12″ Base. 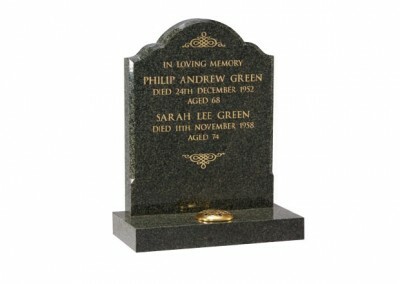 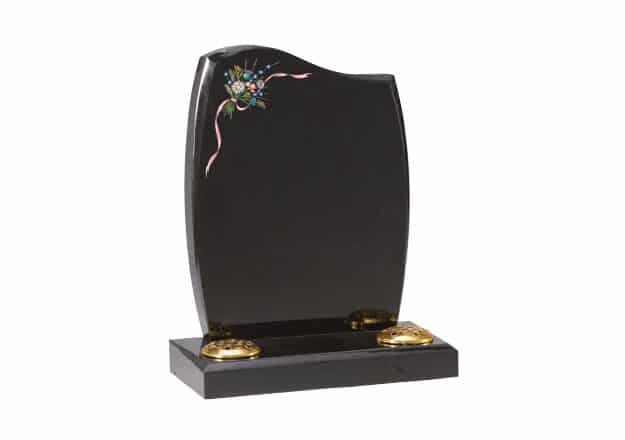 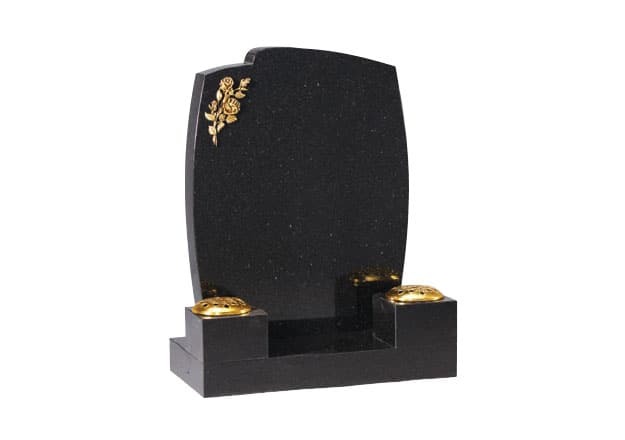 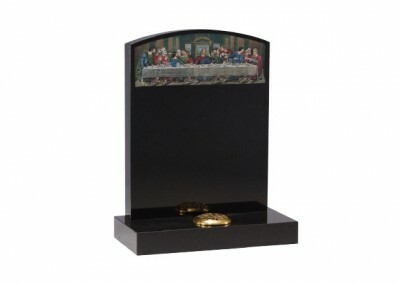 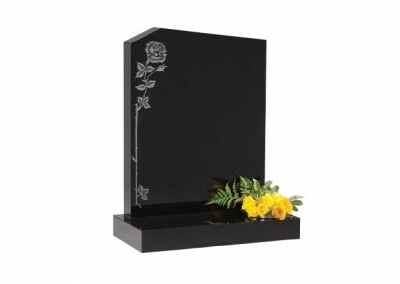 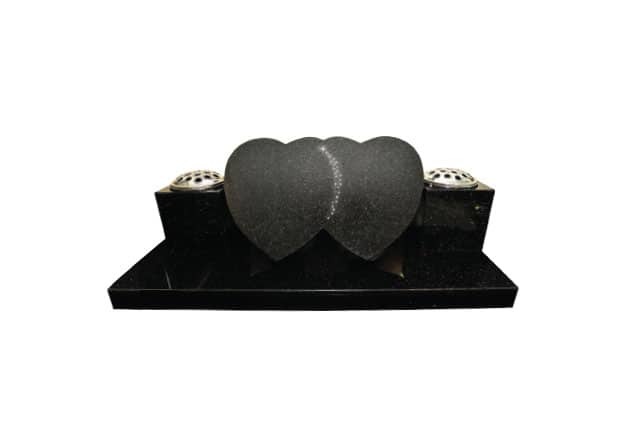 Black granite with etched rose and double border. 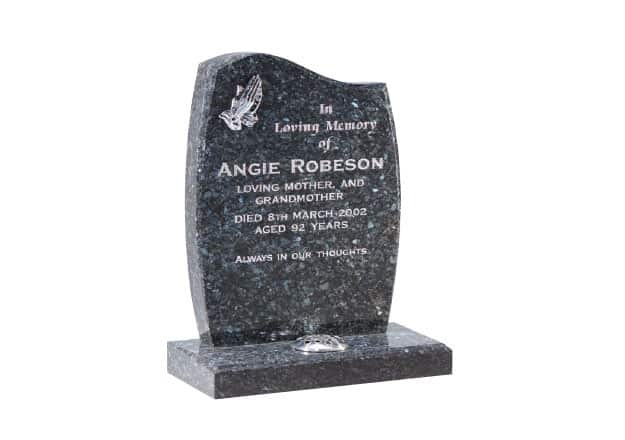 Headstone available in 28” x 35″ x 4″ and 4” x 36” x 12″ Base. Bahama Blue granite oval shape with polish rounded chamfered detail and base.